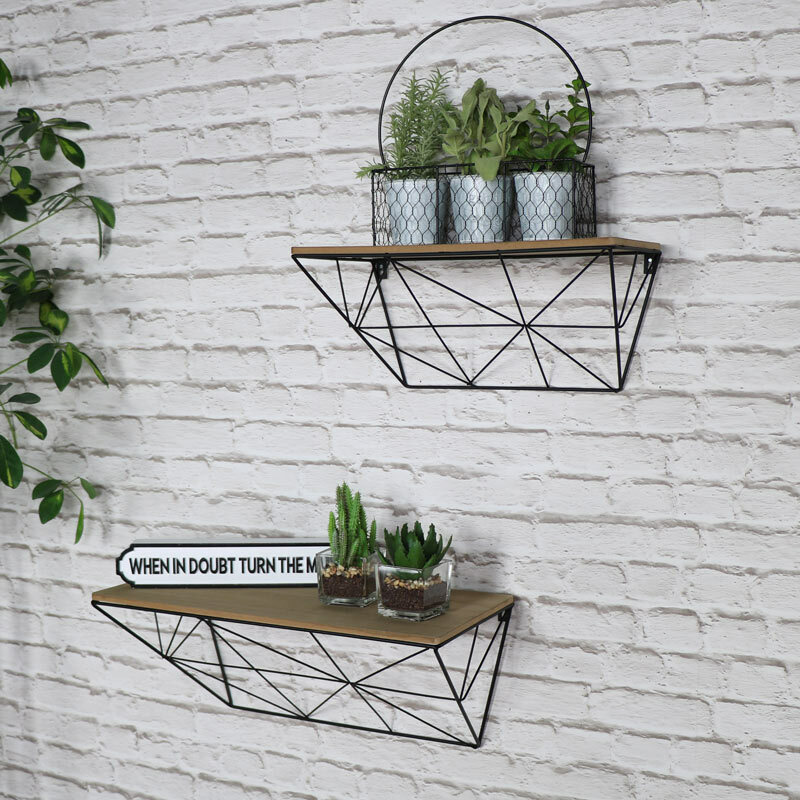 If you're looking for that additional storage space, somewhere to display ornaments of arrange a brilliant display, this set of 2 wall shelves will be perfect. 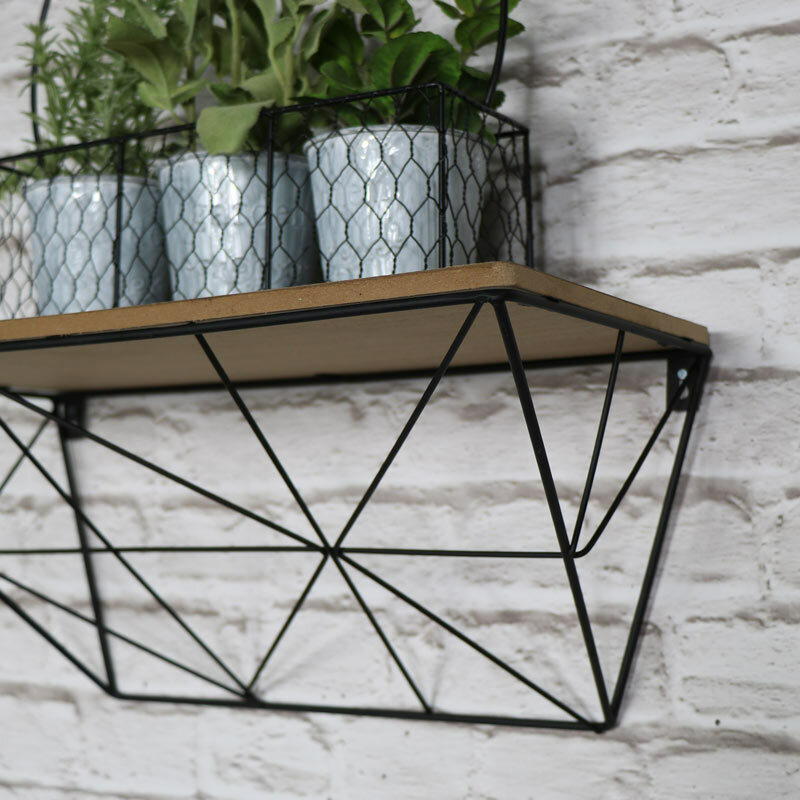 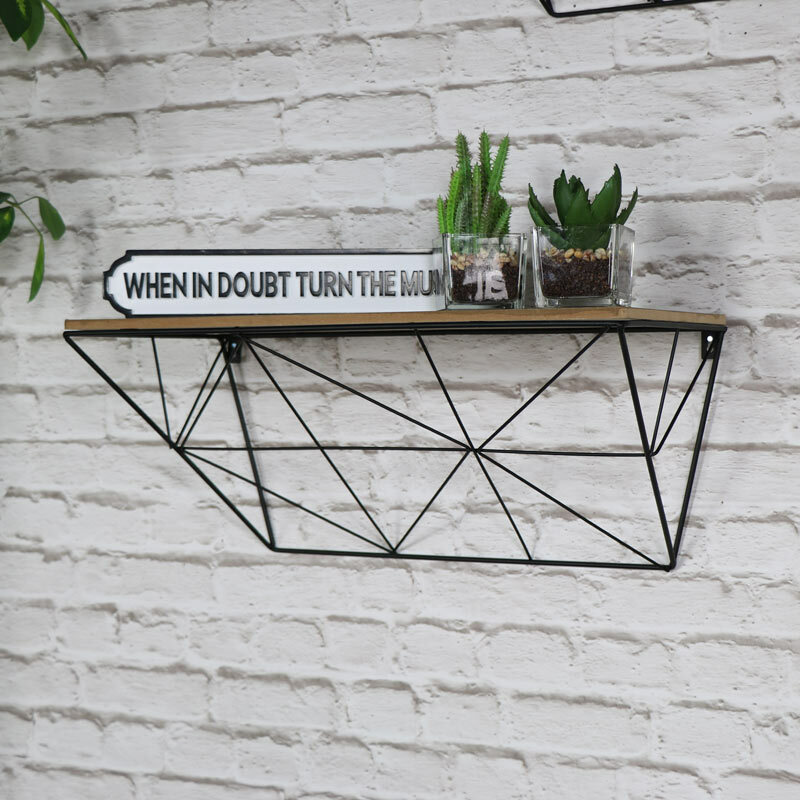 In a great retro, industrial style, these would be perfect for placing together or individually, to create a great look for your home. 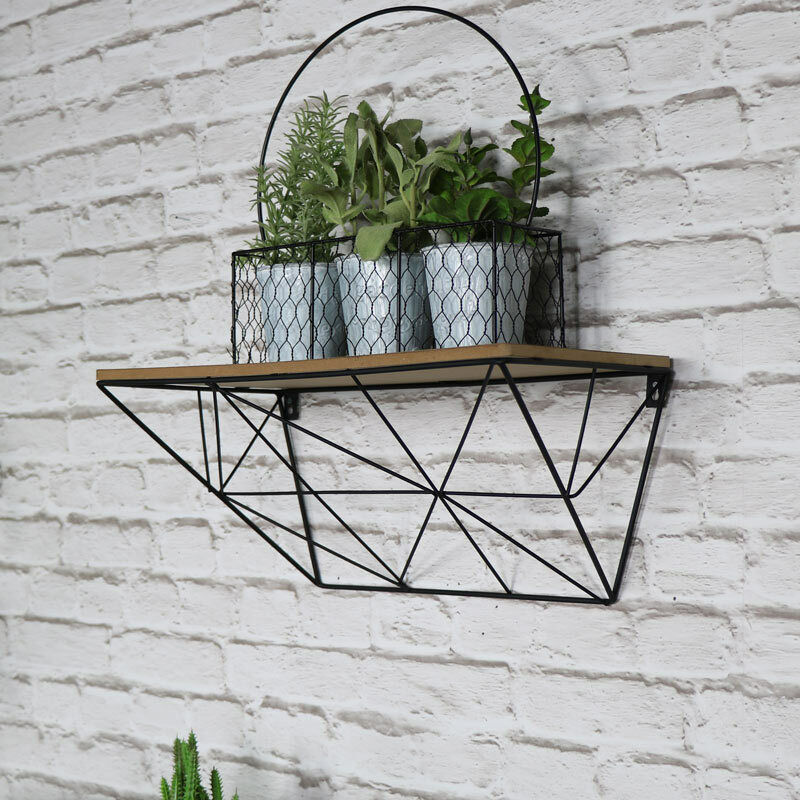 Ideal for use in the bathroom, hallway, bedroom or kitchen. 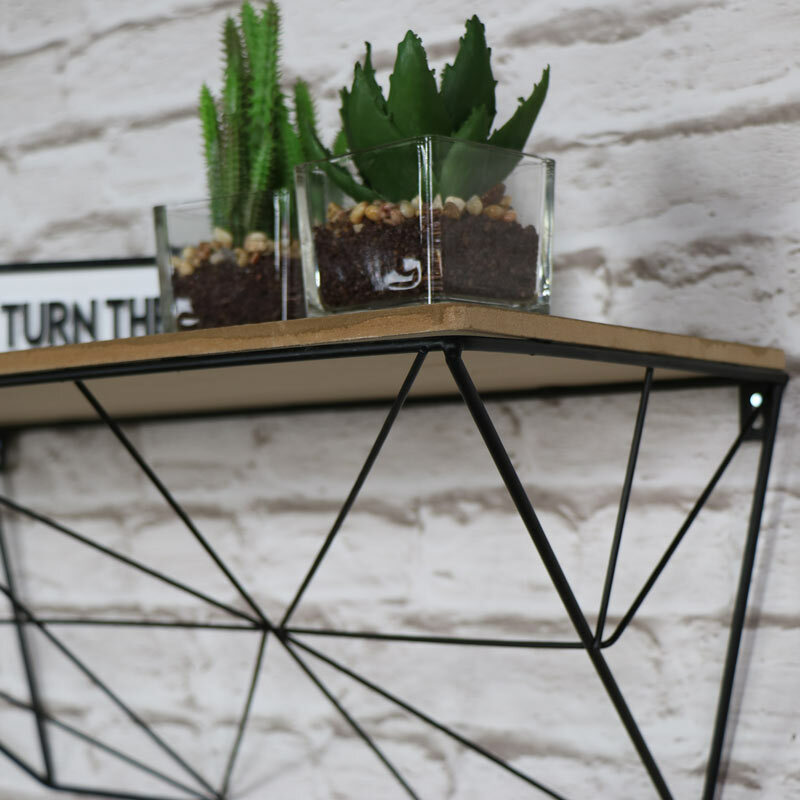 Wooden shelves in 2 different sizes sat on top of geometric style metal shelving brackets that create a great look for a room.